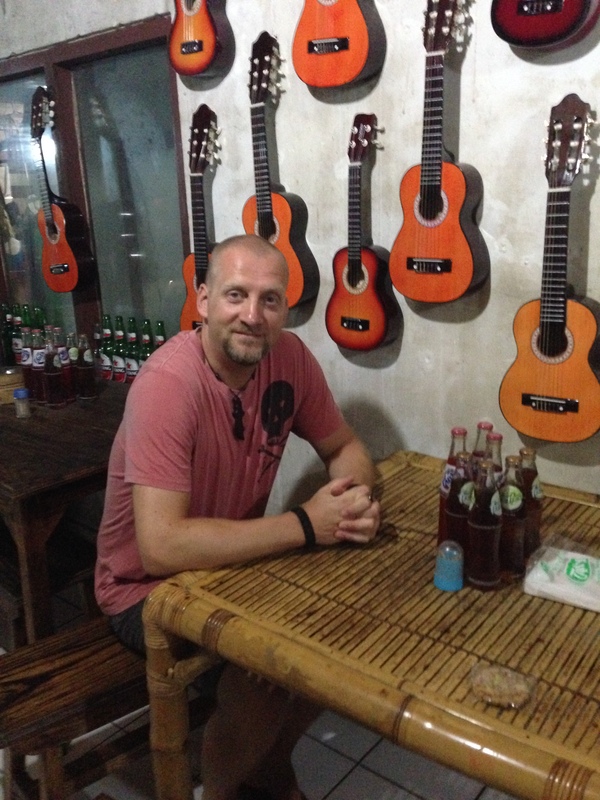 To get the most out of any local culture you have to do what the locals do. 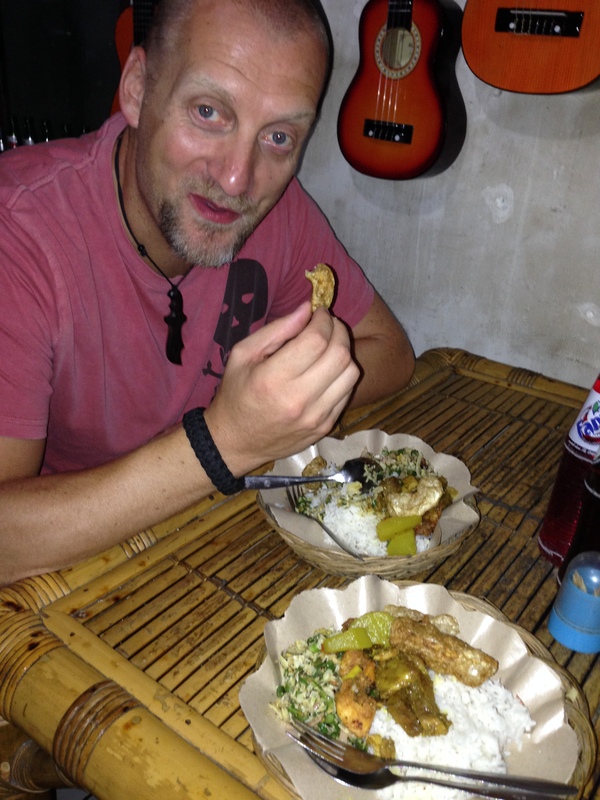 There is a long time ago I got the tips for finding good eating places in foreign countries. By following these tips we set out to find this evenings dinner place. Eating out every meal can be heavy on the budget, so picking up cheaper places can be a bit if a bit of necessity. Today we followed rule number 1. 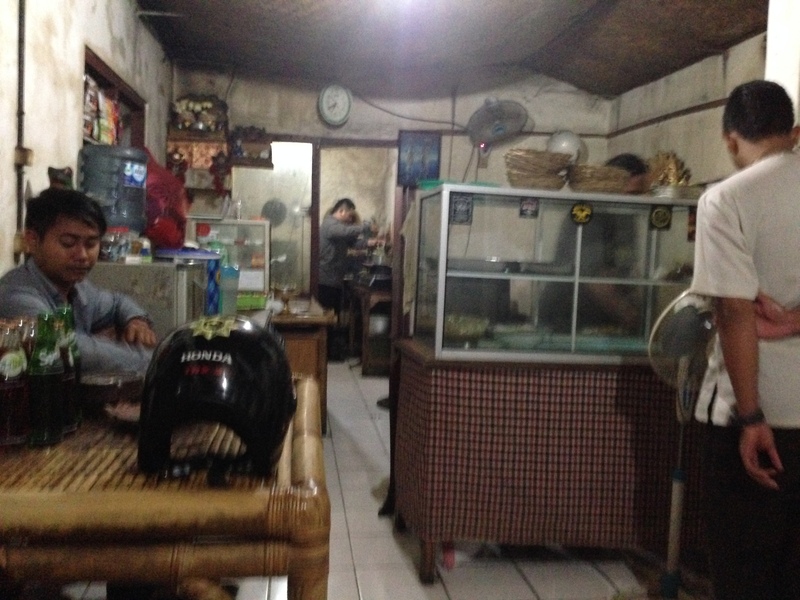 We just headed down the street and and stopped by a place where the locals were lined up for buying food. also found a cookie, which turned out to be deep fried peanuts. Arrack, also spelled arak, is a distilled alcoholic drink typically produced in South Asia and Southeast Asia, made from either the fermented sap of coconut flowers, sugarcane, grain (e.g. red rice) or fruit, depending upon the country of origin. The clear distillate may be blended, aged in wooden barrels, or repeatedly distilled and filtered depending upon the taste and color objectives of the manufacturer. Arrack is not to be confused with arak, an anise-flavored alcoholic beverage traditionally consumed in Eastern Mediterranean and North African countries. I don’t recommend drinking it in volumes, but as a drink aside a spicy chili dish is quite ok. I was asked to mix it with Sprite for flavor. Whether or not this will make the food easier to digest, or just kill any germs we were served remains to be seen. To en it all we paid 5$ for two full meals, 1 water, 1 sprite, the peanut Cookie, an extra bag of fried pork skin and the Arak shot. Beat that! 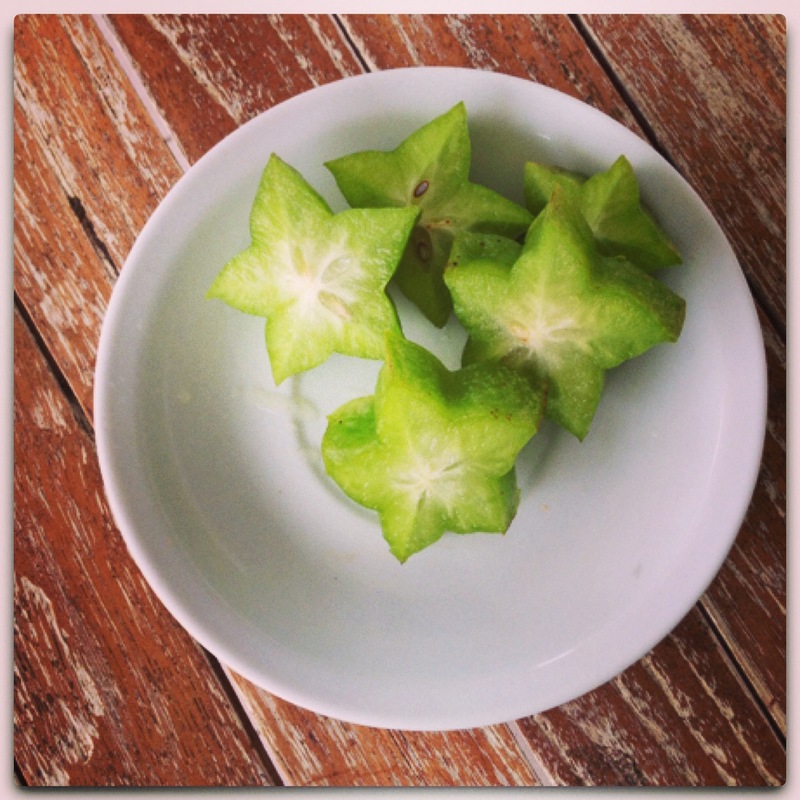 Carambole, or “Star fruit”. It is sweet and you can eat the whole fruit, skin and all. This was one of my dreams before going on this trip. Being able to eat ripe fruit from trees or markets. Not like in Norway where the fruit is ripened on the boat from wherever it was harvested. I know, I know! Norwegian apples are great, but do not match up to this. And regarding yoga… One of the big international gurus is here now: Les Leventhal. We did a session with him yesterday, and it was the best so far. Tomorrow is another possibility, so we will be there early to get a spot. What better way to celebrate ones birthday than to sweat it out in training? Categories: Indonesia | Tags: Bali, Culture, Indonesia, Ubud, Yoga | Permalink. Message from Chateau Moncla: Happy Birthday!! !